Beautiful bright 4-bedroom house with stunning countryside views. This fabulous family home is set back from the road by a gated driveway with parking for several cars and a detached oak framed double heritage car port. LET BY FLYING FISH PROPERTIES Superbly located 5-bedroom detached family home. This beautiful family home sits high on its plot with commanding views over spectacular open countryside stretching as far as the eye can see. Contemporary detached 5-bedroom family home. This striking five bedroom detached home offers the perfect combination of luxury modern living and home comforts. It sits in a premier positon on a quiet cul-de- sac that winds around to a large cricket green. LET BY FLYING FISH PROPERTIES Light filled contemporary 5-bedroom family home. Tucked away from view behind impressive electronic iron gates, a sweeping gravelled drive edged by high mature hedging leads you up to the house. 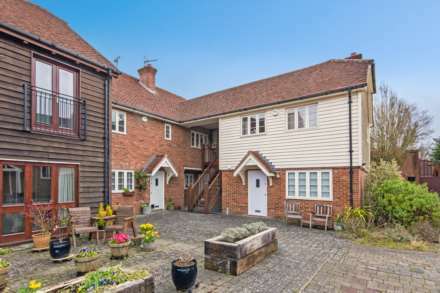 LET BY FLYING FISH PROPERTIES Beautifully located period 4-bedroom detached home. This charming detached Victorian house is superbly located with a host of popular schools, local shops and transport links on its doorstep. Beautiful 2/3 bedroom house in glorious woodland setting. Tucked away under a canopy of trees this charming home sits in its woodland surroundings whilst still being only a short walk from local shops, sought after schools and excellent transport links. LET BY FLYING FISH PROPERTIES Bright spacious 4-bedroom Victorian family home. A charming semi-detached Victorian house in a popular residential street in Rusthall village. Perfectly located 3-bedroom split level period apartment. This stylish apartment is set in a handsome mid terraced Victorian conversion which is touchingly close to the town`s restaurants, shops and cafes and within a short walk of mainline stations. Bright and spacious 3-bedroom house. This semi-detached 3-bedroom family home is fantastically situated within walking distance of the mainline station, local shops and popular primary school. LET BY FLYING FISH PROPERTIES Immaculate spacious 4-bedroom family home. With its handsome red brick exterior, crisp white windows and canopied entrance door, the house is set back from the road by an expanse of lawn and a block paved driveway. Bright and spacious 3-bedroom family home to rent. 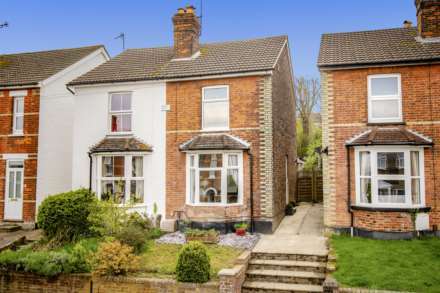 This superb mid terrace 3-bedroom family home is beautifully situated on a quiet cul-de-sac within walking distance of the mainline station, village shops and popular primary school. LET BY FLYING FISH PROPERTIES Bright spacious 3-bedroom family home. This fantastic home is set in a popular residential street in Rusthall village, just off the high street.